When hearing about the Occupy Chicago movement, some people tend to think campers, cops and chaos. But some activists feel they can find their voice through ways other than sleeping outside for a month -- and Dale Lehman is one of them. 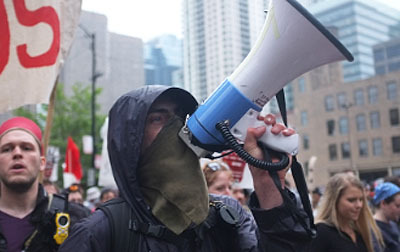 Lehman, an Illinois resident and longtime peace activist, uses the organization Neighbors For Peace (N4P) for his megaphone effect against political injustice. Neighbors For Peace, a movement formed in response to the 9/11 terrorist attacks, calls for fundamental changes in U.S. foreign policy while aiming to create social progression through non-aggressive methods. The group’s recent meetings have been stimulated by the anticipation of upcoming G8/NATO Summits. Like many other action committees, the essence of Neighbors for Peace’ global concerns lie within the issue of monetary control. With a plan to develop a warfare program, the summits are compelling citizens like Lehman to actively demand that U.S. start spending money on better healthcare, housing and education, for instance, instead of combat purposes. 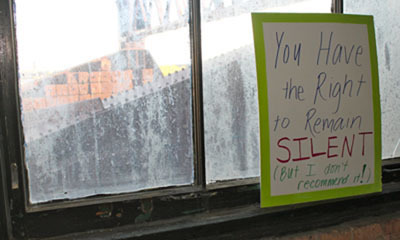 He highlighted the People’s Summit on May 12-13 at Occupy Chicago headquarters. The summit will offer educational empowerment and inspiration to walk in the May 20 march being organized by CANG8 (Coalition Against NATO/G8). While inviting people of all ages and backgrounds within the Evanston and Chicago areas, N4P pursues social change through a nonviolent system of various actions, endorsements and events. Neighbors for Peace will also hold a meeting on May 5 called “The Power of Nonviolent Change” that will include participatory activities in practice for preaching their message not only during the summits but in everyday life. Examining our past as perhaps a mirror of the present, Lehman dated back to a time surrounding WWII when power relations began to change on a global level. As a working group for the people, Lehman and other members of Neighbors For Peace support Occupy Chicago in their deconstruction of the power of industrialists, banks, and monopolies that are driven by capitalist demands.